These types of yarns are derived from fibres which commonly occur in nature, either from plants (e.g. 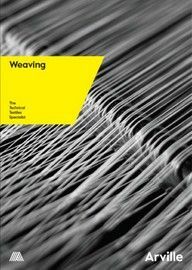 cotton/linen), animals (wool), or even minerals (basalt) where fibrous materials are spun into filaments which can then be further processed by weaving. 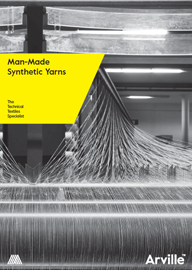 Historically, natural yarns have been the material of choice for weaving, only being surpassed in the last century by synthetic yarns and (in more recent years) further advances in high-performance yarns. 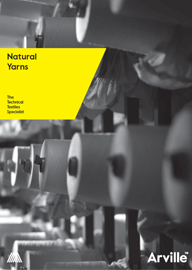 Nowadays, however, natural fibres are becoming more up-to-date than they have ever been. In some cases, they demonstrate unique mechanical properties and characteristics, with the added advantage of being derived from a 100% sustainable source. Cotton is a naturally occurring fibre which is derived from the cotton plant and is widely used in the weaving of fabrics for clothing, fashion and furnishings. 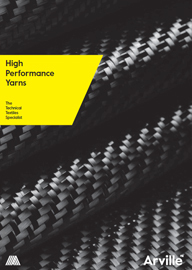 For technical applications it has certain useful characteristics which can be difficult to reproduce with man-made fibres, so can sometimes be found at work combined with other fibre types for best effect. Linen is a more durable, stronger fibre than cotton, gaining extra strength when wet. The fibres are resistant to stretch and wear less with abrasion. When cultivated, the flax variety of plant tends grow taller, more slender and with less branches, as such it tends to have longer fibres that are extracted from inside the wooden stems of the plant which are then spun into yarn.